Right-wing historians often describe October as a Bolshevik ‘coup’ made possible by the ‘anarchy’ into which Russia had fallen by autumn 1917. The misunderstanding is profound. Their basic error is to view history from above, not below. What looks to them like ‘anarchy’ was, in fact, the leaching away of state authority and the rise of new organs of popular power. What they describe as a ‘coup’ was, in fact, an expression of the democratic will of millions of workers, soldiers, sailors, and peasants. The Tsarist monarchy had commanded an army of millions. Yet it was overthrown in the February Revolution. The Provisional Government had inherited that army of millions. Yet it was swept away by the October Insurrection. Historical events of this magnitude are not brought about by mere ‘coups’. The very success of the October Insurrection hides its true character. The revolution was so ripe – the social crisis, so deep, the authority of the government so hollowed out, the masses so willing to support decisive action – that, in the event, a few tens of thousands were sufficient to execute the popular will. Amidst all the Russia-related news of 2016 – 2017, precious little attention has been paid in the U.S. media to the historical context of current U.S.-Russia relations and the roots of American attitudes and tendencies currently on display towards that nation. That is extremely unfortunate, as we are currently marking the centenary of a series of events which forever changed the relationship of our nations and altered the course of human history. The events in Petrograd during 1917 were underpinned by an escalating land war in the Russian countryside. The peasants outnumbered the workers more than five to one. Peasant conscripts had shot down striking workers and crushed the urban revolutionary movement in 1905. They would have done so again had the revolution not spread to the countryside in 1917. The Provisional Government tried to prevent this happening by opposing all direct action by peasants; the official line was that the villages should wait for the Constituent Assembly to decide the land question. All major parties were committed to an elected Constituent Assembly which would frame a new constitution for Russia. What is quite clear is that had the peasants waited, they would never have got the land. The banks had lent the landlords four billion rubles. This commercial alliance between the bourgeoisie and the aristocracy could not be broken without revolutionary action from below. The Reformists (who would dominate the Constituent Assembly when it finally met in January 1918) certainly had no intention of challenging the rights of property from above. On 21 September, for example, Kerensky issued an order forbidding the peasants from taking land, cattle, machinery, or firewood belonging to the big estate-owners; dire penalties were threatened. But this had no more effect than countless similar injunctions. The repressive apparatus to enforce such government diktats no longer existed. The peasant movement grew and grew: 34 counties had been effected in March, 174 in April, 236 in May, 280 in June, and 325 in July. If the movement faltered a little in some areas during the summer, it was only for the action to spread to previously passive regions, and then for the entire land-war to flare up across the whole country in the autumn, with 30 per cent more recorded incidents in September than August, and 43 per cent more in October than September. At the same time, the struggle became more radical, with the most destitute peasants moving into the front rank, alongside growing numbers of ‘self-mobilized’ soldiers returning from the front. They were encouraged by the urban workers, many of whom retained strong links with the villages from which they had migrated, often expressed through membership of ‘back-home’ clubs. The soldiers knew how to fight and were habituated to violence. Again and again, they led the people of their villages into action. ‘More and more soldiers came to us from the towns and the trenches, some of them wounded, some of them demobilized’, recalled one peasant villager. ‘They brought more news and stirred up the revolutionary sentiment of the peasantry’. The peasants rolled into action in the manner of all the great land-wars of the past. Manor houses were looted and burned. Grain was seized and livestock driven off. Farm machines and tools were carried away. Whatever could not be taken was smashed. The struggle for the forests was especially bitter – timber for building and firewood for heating were basic needs in the villages – and so was the struggle for grain, especially among the poorest, feeling the pinch of hunger as winter approached in crisis-wracked Russia. The landlords and their agents fled, the authorities lacked the means to restore order, and the villages set about the ‘Black Partition’ of which they had dreamed for centuries. Land committees were the primary organs of the peasant revolution, but when the militancy of the masses outran what their Social-Revolutionary leaders were prepared to sanction, even the land committees might be superseded by the primitive peasant democracy and direct action of the mir, the village commune. The revolution in the countryside – like the revolution in the cities and at the front – found the channels it needed; the flood could not be stemmed. 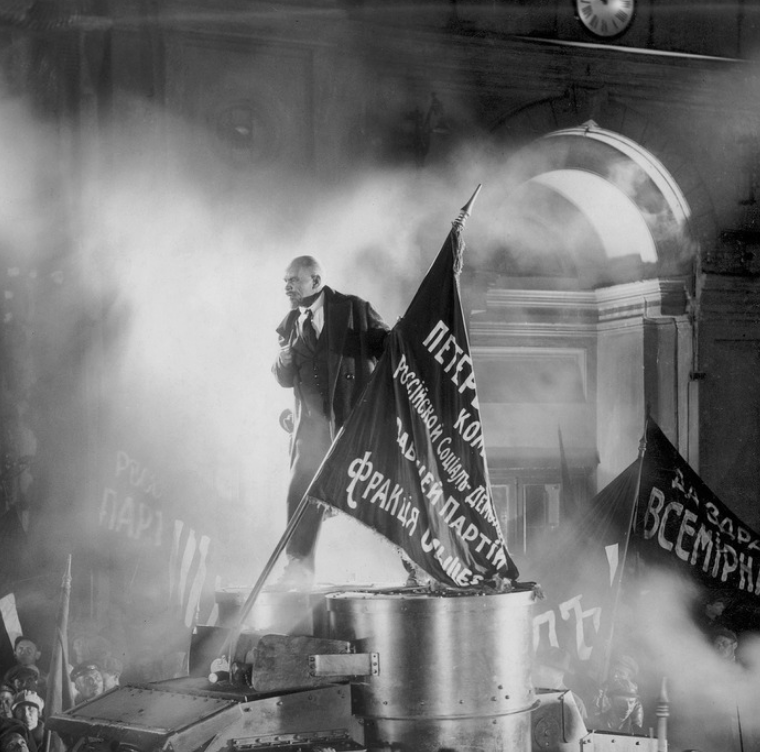 As air currents carry seeds, the whirlwinds of the revolution scattered the ideas Lenin …. The peasantry pushed the Bolsheviks toward power with their revolt. But only after conquering power could the Bolsheviks win over the peasantry, converting their agrarian revolution into the laws of a workers’ state …. In order that the peasant might clear and fence the land, the worker had to stand at the head of the state; that is the simplest formula for the October Revolution. In many places, the war against the landlord fused with a war against the national oppressor. Only 70 million of the Tsarist Empire’s inhabitants were ‘Great’ Russians (as opposed to ‘Little’ Russians or Ukrainians); the remaining 90 million belonged to a national minority. The latter included western peoples like the Finns, Estonians, Latvians, Lithuanians, Poles, and Ukrainians, and eastern peoples like the Muslim Turks of Central Asia. The politics of class and nation were woven into a sociological tapestry of exceptional complexity; but often enough the lines of class antagonism were also those of national resistance, most obviously where native peasants lived under alien landlords. The Bolshevik policy was simple: with the exploited against the exploiter, with the oppressed against the oppressor; above all, opposition to the dominant Great Russian chauvinism of the Tsarist state. In consequence, many national minorities rallied to Lenin’s party, often moving into the front line. The crack regiments of Lettish sharpshooters are a notable example. Recruited from Lettish peasants and labourers in the Baltic states, they hated their ancestral Germanic landlords and the Great Russian officers in roughly equal measure. They would play a leading role in the October Insurrection. The authority of the commanders was destroyed once and for all. The masses of the soldiers, seeing how a general, a commander-in-chief, had gone against the Revolution, felt themselves surrounded by treason on all sides and saw in every man who wore epaulettes a traitor. And whoever tried to argue against this feeling also seemed a traitor. Trenches were decorated with white flags to show that no aggressive action would be taken. Officers who attempted to enforce discipline were ignored and sometimes killed. There was an epidemic of ‘fragging’ – throwing grenades into officer’s quarters to take out unpopular occupants. Only the elected soldiers’ committees were obeyed. Entire regiments worked out plans for mass departure from the front. Vehicles and trains were commandeered as transport. The radicalisation was uneven. The troops on the south-western front were far behind those stationed near Petrograd. The Black Sea Fleet was behind the Baltic Fleet. Infantry tended to be ahead of artillerymen, cavalrymen, and the technical branches. The men in the trenches would sometimes find it necessary to threaten to bayonet the gunners if they opened fire (and thus provoked enemy retaliation), or they would deliberately cut telephone wires to prevent spotters communicating with their batteries. But if the soldiers were moving at different speeds, they were moving in the same direction: towards an abandonment of the war at the front in favour of the revolution at home. Quite simply, if Russia in 1917 was experiencing the biggest peasant land-war in history – a mass movement of 100 million villagers – it was also experiencing the biggest military mutiny in history – a movement of 10 million soldiers. The swing to the Bolsheviks among the soldiers was especially sharp in the capital after the Kornilov Coup, when the government again threatened to move garrison units to the front. The strength of this swing was the reason that a Menshevik decision to set up a ‘Committee of Defence’ backfired. Formed initially of representatives of each of the three main Soviet parties – and shortly renamed the ‘Military Revolutionary Committee’ (MRC) – it became an expression of the growing radicalism of the soldiers and was destined to operate as the high command of the coming October Insurrection. The Soldiers Section of the Petrograd Soviet voted on 13 October, by a majority of 283 to 1, to obey only orders endorsed by the MRC. The meaning was clear: control of the Petrograd garrison had passed from the general to the people. Other signals of the mood in the barracks were equally clear. Across Russia, power was devolving from higher democratic bodies to lower ones, closer to the people, more directly representative, better able to give immediate expression to the evolving popular will. Among the workers, power was shifting from the Soviets to factory committees; among the peasants, from the land committees to village communes; and among the soldiers, from the Soviets to regimental committees. The regimental committees in the capital now came together as the Garrison Conference, meeting for the first time on 18 October. The overwhelming majority of regiments now favored a ‘coming-out’: an armed urban insurrection, a second revolution, to terminate the threat of counter-revolution and place power in the hands of the people. The roll-call of those who declared themselves ready to go onto the streets at a call from the Petrograd Soviet constituted a majority; most of the rest were neutral; the hostile were so few they were denied the floor. It was otherwise with the sailors of the Kronstadt naval base and the Baltic Fleet more generally: as a species of skilled worker in uniform, concentrated in large workplaces, they combined ‘proletarian resolution with strict military training’. But they were too few in number to take power in a major modern city. The workers, on the other hand, combined revolutionary determination with vast numbers. Their military arm – the Red Guards, organised in factory contingents, perhaps 25,000 in all – would provide the bulk of the fighting forces of the October Insurrection. The Petrograd workers had reached this point as early as July. Held back by a party that feared a re-run of 1905, their confidence had been shaken and they had retreated a distance. But Kornilov had roused them again, and this time, with the rest of Russia fast catching up, there was to be no relapse. At an early morning session of the Petrograd Soviet on 1 September, the Reformists were overturned and the Bolshevik revolution for a government of workers and peasants was passed two to one. The following day, the Finland Soviets voted the same way (700 for, 13 against). Three days later, Moscow (355 to 254). Three days after that, Kiev (130 to 66). And so it continued: September was the month that the Soviets went Bolshevik across Russia. Excerpted from ch. 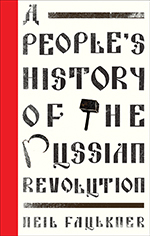 8, October Days, in A People’s History of the Russian Revolution, by Neil Faulkner, Pluto Press, 2017. Lenin was a democrat, not a ‘democratic centralist’, and that the Bolshevik Party was a mass democratic movement, not a pseudo-revolutionary sect. The revolution was a mass movement of the people based on participatory democracy, not a coup to set up a dictatorship. Stalinism was a counter-revolutionary movement that destroyed the Bolshevik Party and Soviet democracy.